Slice the potatoes, make paste of chilly powder, hing and salt. Apply this paste to slice potatoes then coat this with rice flour and deep fry them immediately, otherwise it will become soggy. 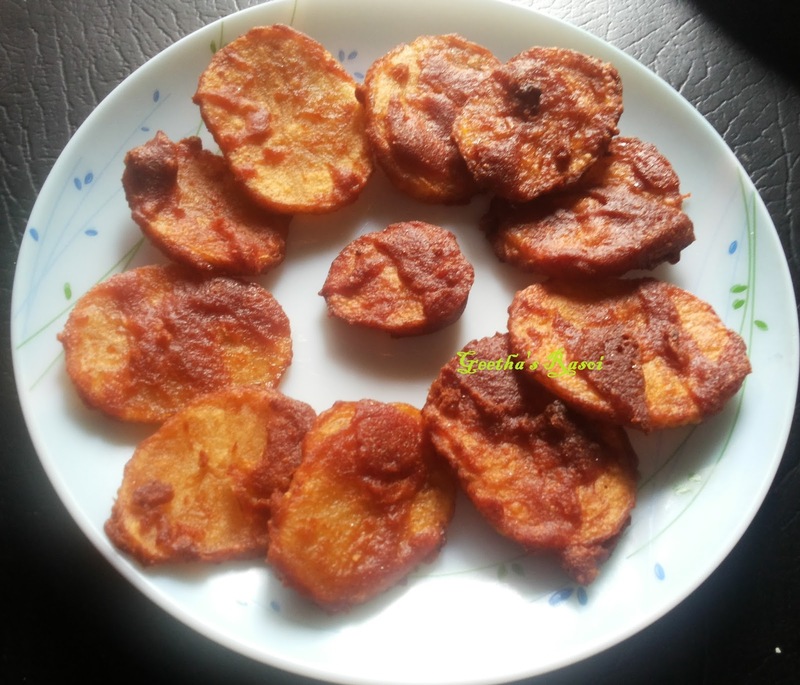 It can be served as side dish for meals or as starters.